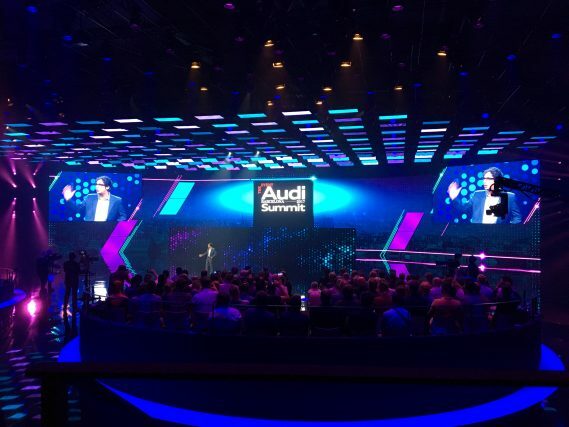 The new 2018 Audi A8 has been revealed at the glamorous Audi Summit event in Barcelona. The new rival for the BMW 7 Series and Mercedes-Benz S-Class is, unsurprisingly, loaded with tech, including a fully autonomous mode that uses Audi’s piloted driver system to control the car entirely at speeds of up to 37mph. This makes it the first car to reach ‘Level 3’ autonomy – ahead of the S-Class and even groundbreaking start-up Tesla. Unfortunately, legislation is yet to catch up, so we won’t be able to use all the car’s autonomous features when it arrives in the UK. 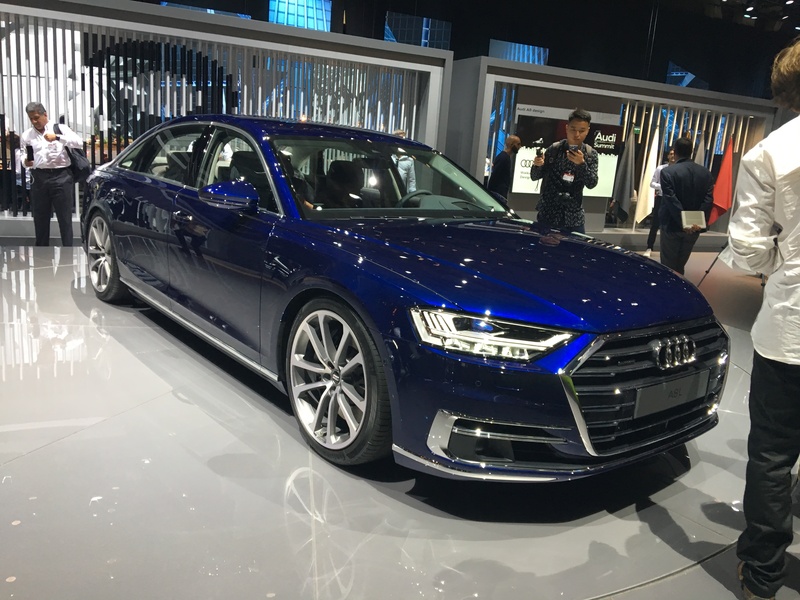 To counter this, the A8 also uses lower levels of automation to provide a smoother drive. When stopped in traffic, for example, the stop-start system uses sensors to detect when vehicles in front are beginning to move, then starts the engine ahead of setting off. Another clever feature is the A8’s electromechanically actuated suspension. This uses a front-mounted camera to monitor the road ahead 18 times a second. If it detects a bump coming up, it prepares the dampers to provide a smoother ride. Sensors can also detect an imminent side-impact crash and raise the A8’s body on one side by as much as 8mm in half a second – transferring the force of the crash to the car’s strongest areas (i.e. the floor and side sills). Styling is typically Audi, influenced by the Prologue concept revealed at the 2014 LA Auto Show. Despite a coupe-esque roofline, designers say there’s an extra 20mm of headroom in the rear versus the outgoing model, while a higher beltline than previous Audis gives it a more purposeful look. Although its design is far from shocking, it’s quite a handsome car in the metal. 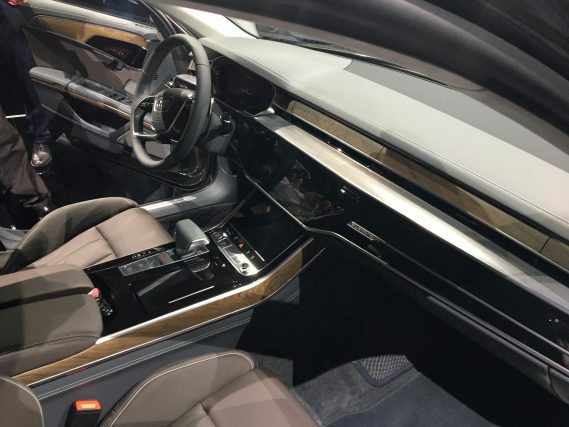 At the front, the A8 gets Audi’s clever laser lighting, while at the rear an LED light strip with OLED tech performs trick illuminations as the driver approaches the car. 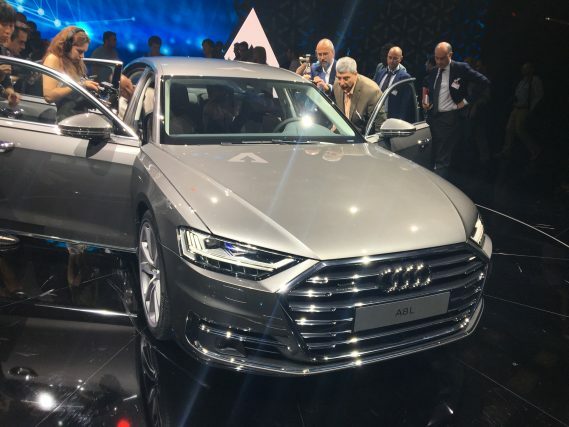 The A8’s bodyshell is a hybrid construction using four different materials: steel, aluminium, magnesium and carbonfibre. This adds up to 282kg minus running gear – 51kg more than the outgoing model. As for the kerb weight… Audi will reveal that in due course. The interior is suitably luxurious, and a marked improvement over its ageing predecessor. 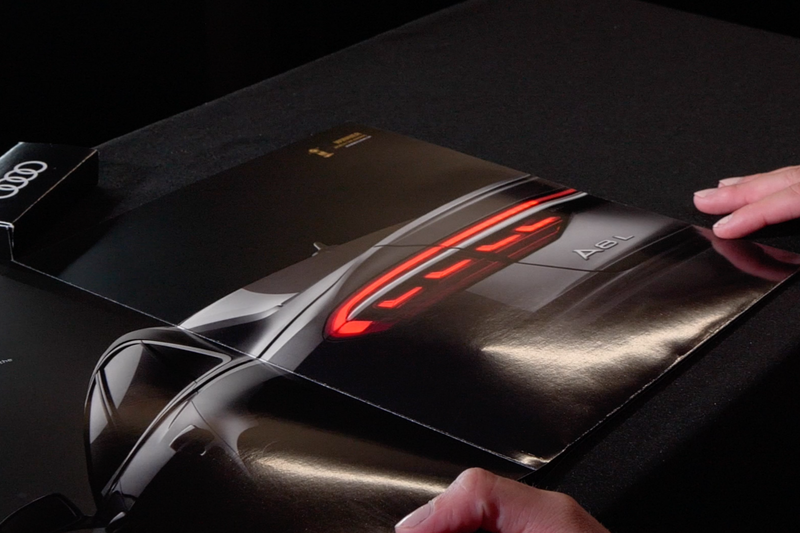 Audi has paid great attention to detail, while also keeping things simple. A 10.1-inch touchscreen dominates the dash, helping clear it of buttons and switches, while a secondary touchscreen provides controls for the air conditioning and other comfort functions. Buyers will initially get a choice of two V6 turbocharged engines carried over from its predecessor in the form of a 286hp 3.0-litre diesel and a 340hp 3.0-litre petrol, while an eight-cylinder 4.0-litre turbodiesel producing 435hp will follow next year. A 6.0-litre W12 will eventually top the range, while a plug-in hybrid powertrain combining a 3.0-litre petrol engine with an electric motor to produce 449hp will be launched in future, too. This will provide an electric-only range of 31 miles, while recharging can be carried out using wireless tech. Prices are yet to be confirmed, but expect a small increase on the A8’s current £63,520 start-price when orders open later in 2017. 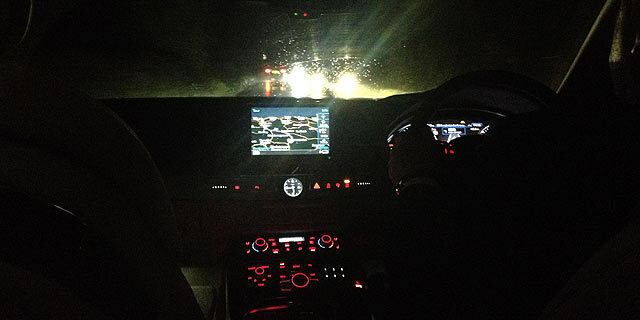 I’m writing, as you can see, from the back of an Audi A8 L. Not just any A8, either. My A8.